Oncoceutics, Inc. announced that the United States Patent and Trademark Office (USPTO) has issued patent #9,452,165 for the use of ONC201 to treat cancers that are categorized as adenocarcinomas. Adenocarcinomas are cancers that form from epithelial cells with glandular origins or characteristics. They represent approximately 50% of all cancers, and more than 80% of prostate, breast, endometrial, ovarian, pancreatic, and colorectal cancers are adenocarcinomas. ONC201, a member of the imipridone family, has demonstrated excellent anti-cancer activity and safety in preclinical models and ongoing clinical trials, including in prostate and endometrial cancers. This patent further expands the IP protection the company has generated around ONC201 and its use in cancer. Combined with the company’s four previously issued patents for ONC201, Oncoceutics now has patent protection for use in the vast majority of cancer types, in addition to protection around its proprietary di-salt formulation, and the use of ONC201 in combination with any other therapeutic agent. This entry was posted in Cancer and tagged adenocarcinoma, Cancer, ONC201 to treat adenocarcinomas, Oncoceutics, United States Patent and Trademark Office (USPTO). This entry was posted in Cancer, Clinical Trial, Health and tagged Cancer. Microsoft has announced an ambitious plan to use computer science to ‘solve’ cancer within the next decade. While that plan involves many ambitious projects, one of the most interesting of proposals involves creating ultra-small DNA computers that can live inside a person’s body, monitoring for cancer cells and reprogramming them into healthy cells as soon as they pop up. “I think it’s a very natural thing for Microsoft to be looking at because we have tremendous expertise in computer science and what is going on in cancer is a computational problem,” Chris Bishop from Microsoft Research told Sarah Knapton at The Telegraph. To make their goal a reality, Microsoft, which isn’t known for stepping so far outside of the consumer electronics sphere, has gathered a team of biologists and computer scientists from around the world to work on various aspects of cancer research. The details are still thin on the ground, but one team plans on using machine learning and computer vision – where computers glean information from images or videos – to give radiologists a better understanding of how a specific patient’s tumour is progressing. This could open up a more nuanced type of personalised medicine. Another team is working on algorithms to predict the best plan of attack for each specific tumour type. Then there’s the group working on that ‘moonshot‘ idea to make computers out of DNA that will monitor and reprogram cancer cells inside the body. The thinking is that, every time cancerous cells arise in the body, the computer would know, and “reboot the system and clear out the diseased cells”, explains Knapton. Despite these varied approaches, Microsoft says that all of the projects – no matter how different – follow two similar computer science approaches: information processing and machine learning. “One approach is rooted in the idea that cancer and other biological processes are information processing systems,” the company said. The team says that machine learning will allow researchers to better analyse millions and millions of files of biological data in search of new treatment approaches, a process that – until recently – has been done by hand. Machine learning could have the power to finally speed this up faster than ever thought possible. “We’re in a revolution with respect to cancer treatment. Even 10 years ago people thought that you treat the tissue: you have brain cancer, you get brain cancer treatment. You have lung cancer, you get lung cancer treatment,” said David Heckerman, director of Microsoft’s genomics team, in a press statement. As for their ambitious timeline, saying that they will have cancer ‘solved’ in less than a decade, many of the researchers working on the project are confident that this can be achieved. “If we are able to control and regulate cancer then it becomes like any chronic disease and then the problem is solved,” senior researcher Jasmin Fisher told The Telegraph. Only time will tell if they are right or not, but we have our fingers crossed that something good will come of their new mission. 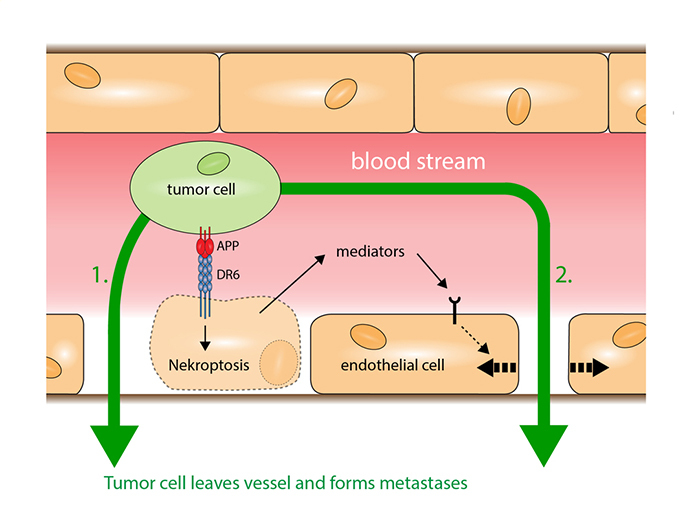 This entry was posted in Cancer, Health and tagged anticancer drug, Cancer. The Indian Council of Medical Research (ICMR) has issued the consensus document for management of non-Hodgkin’s lymphoma (high grade) which will provide guidance to practicing doctors and researchers for the management of patients suffering from non- Hodgkin’s lymphoma – high grade and also focusing their research efforts in Indian context. Lymphoma is a type of cancer that develops in the lymphatic system, the body’s disease fighting network. It is estimated that around 1,000 people worldwide are diagnosed with lymphoma every day. Globally the incidence of disease is 385741 cases with mortality of 199650 cases. India accounts for 23801 cases with a mortality of 16597 cases. This document will help practicing doctors, clinicians, researchers and patients in complex decision making process in management of the disease. It represents the current thinking of national experts on subject based on available evidence. The ICMR had earlier constituted sub-committees to prepare consensus document for management of various cancer sites. This document is the result of the hard work of various experts across the country working in the area of oncology. This consensus document on management of non- Hodgkin’s lymphoma – high grade summarizes the modalities of treatment including the site-specific anti-cancer therapies, supportive and palliative care and molecular markers and research questions. It also interweaves clinical, biochemical and epidemiological studies. The purpose of this document is to revamp recommendations for evaluation, staging and response assessment of patients with non-Hodgkin’s lymphoma. The availability of more effective therapies for lymphoma and the increasingly sensitive and specific technologies has made this consensus the need of hour. However, good clinical judgement, a careful history and physical examination are the cornerstones of patient follow up. The objective of this guideline is to provide healthcare professionals with clear guidance on the management of patients with Non Hodgkin Lymphoma – High Grade. The guidance may not be appropriate for all patients with NHL but this compilation of Indian Data gives us an insight to best practice. This disease strata is currently undergoing extensive investigations and it is likely that paradigms will shift over the next several years. Lymphomas are a very complex group of diseases with differing behaviours and treatment options. It is typically classified into two groups, Hodgkins lymphoma (HL) and non-Hodgkins lymphoma (NHL). NHL’S are subclassfied as low grade (indolent) and high grade. The high grade NHL is generally curable with cytotoxic therapy while the low grade lymphomas are controllable for long periods. While lymphoma is potentially fatal, some forms are curable and a patient’s survival may be greatly enhanced by early diagnosis. Almost all lymphoma types can be cured or managed as a chronic disease, but its complexity and variation do not allow for a one-size-fits-all treatment approach. Instead, it necessitates highly specialized and individualized approaches. The cause of the majority of lymphoma cases is unknown, however, there could be several factors that may influence one’s risk of developing lymphoma. The relative effects of these factors in any given case of cancer vary and are very difficult to determine with accuracy at present. This entry was posted in Cancer, Indian Council of Medical Research and tagged Cancer, Hodgkins lymphoma, ICMR, ICMR g, indian council for medical research, Lymphoma.